Dr. Gallagher facilitates health lectures in public/private forums and is available as a keynote speaker for health related events. Her favorite venue is a small group of people who are armed with questions and would like to have a rolling discussion about things they may not have thought about to ask. As a media guest, Dr. Gallagher speaks on a variety of topics regarding medical, dental and alternative choices in healthcare. Dr. Gallagher shares suggestions for change that can be immediately implemented to improve medical and well-being issues. 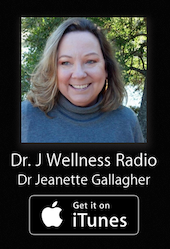 Dr. Jeanette is also available as a radio guest; if you have a topic that has been covered in any of her websites or past radio shows, send an email on the contact us page of this website. She will then request a pitch to be sent to further explore. Requests for Dr. Gallagher’s Curriculum Vitae can be submitted here. Be sure to document the reason for such request and it will need to be verified prior to release. Dr. Gallagher was a guest on various radio shows during Hurricane Irene for her natural disaster work. May 13, 2003 – KNXV TV ABC Channel 15 Phoenix Sonoran Living Appearance – 9:00 a.m.